This number of APR was printed and published in May 2004. For bibliographic reasons it was dated, Autumn 2003. 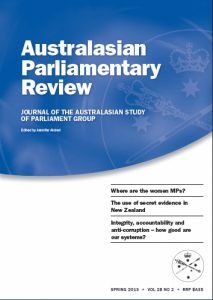 Evaluating Parliamentary Committees: Light at the end of the Tunnel?